Complex Situations in Coaching is a collection of 20 typical yet underdiscussed issues in coaching, ranging from value conflicts, multiple agendas, power dynamics, and emotion management, to the role of money, etc. Organized into ten chapters, they are positioned into the literature and commented on by world-class coaches, coaching researchers, educators, and program directors. 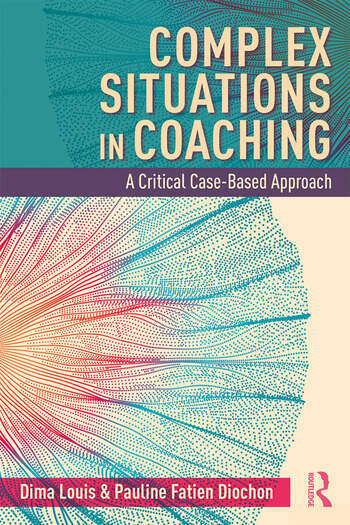 This plurality of voices is designed to foster dialogue, questions, and solutions; this setting, supportive of reflexivity, critical thinking, and diversity awareness, is essential to the development and education of coaches in an increasingly complex world where ready-made solutions prove limited. Thus, beyond a 'toolkit approach', this book engages in a thought-provoking and multi-perspective journey in support of the professionalization and continuous education of coaches, instructors, and/or supervisors. Dima Louis is Assistant Professor, Department of People, Organizations & Society, Grenoble Ecole de Management, Université Grenoble Alpes ComUE, France. Pauline Fatien Diochon is Associate Professor of Management, Innovation Academy, SKEMA Business School, Université Côte d'Azur, France.